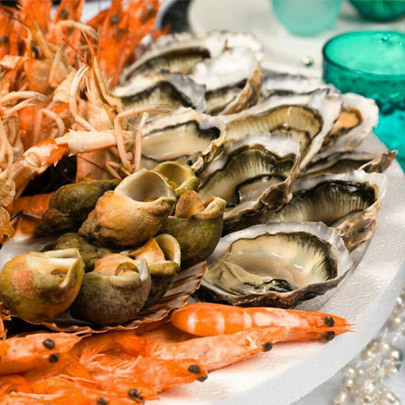 A classic French dish from southern France, in particular, of the port town Marseille. It requires many different varieties of fish, and traditionally was made with what the fishermen hadn’t sold that morning. Peel and slice potatoes into 1cm slices. Wash and dry carefully. Divide fennel into 6 pcs. Wash and dry carefully. Pour fish stock into large pot and bring to the boil. Turn the heat down to a simmer and add fennel and potatoes into the stock. Once potatoes and fennel are cooked (10-15 minutes), remove and put to one side. 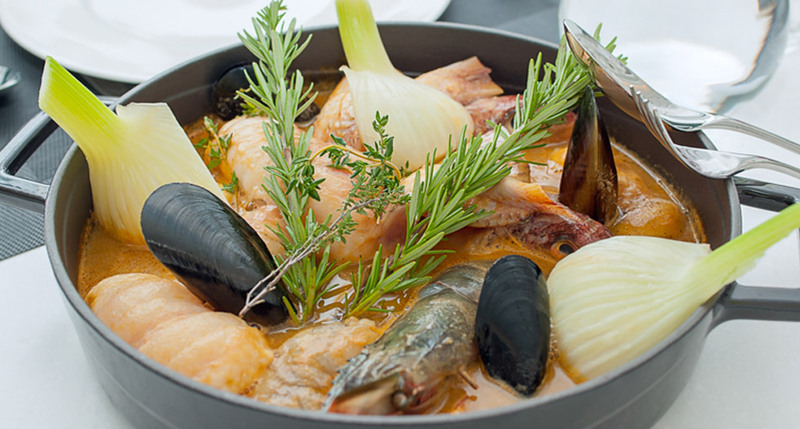 Place all fish fillets and mussels into stock until cooked through (around 10 minutes). Add saffron, potatoes and fennel. Season to taste with freshly ground sea salt and black pepper. Serve divided into bowls and piping hot.